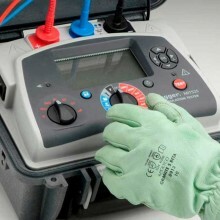 Includes: 2 safety leads 3 m long with HV plug and HV crocodile clip (red/blue), 1 guarded safety plug 3 m long with an HV plug with rear connection and an HV crocodile clip (black), 1 lead with rear connection (blue) 0.35 m long, 1 mains power cable 2 m long, 1 communication lead, 1 simplified operating manual, 1 CA6549 operating manual in 5 languages. 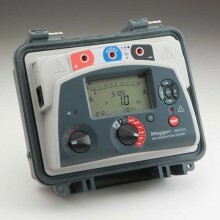 Buy a Chauvin C.A 6549 Megohmmeter and get a Chauvin F203 AC/DC Clampmeter (RRP £216) and a Chauvin C.A 5231 TRMS digital multimeter (RRP £114) FREE whilst stocks last. Offer may be withdrawn at any time. 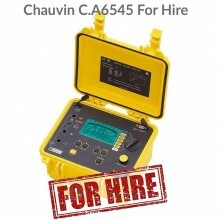 The Chauvin C.A 6549 megohmmeter is a top-of-line measuring instrument, portable, in a rugged construction-site housing with cover, with a graphic screen, operating from battery or line power. 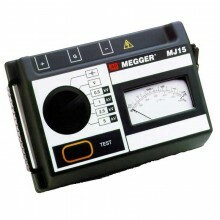 The C.A 6549 has an internal memory for storing several thousand measurements. 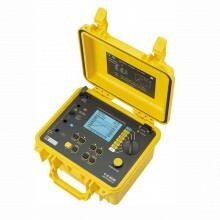 Storage is performed with two indices, OBJ (object) and TEST (test), which store the results in an ordered way. 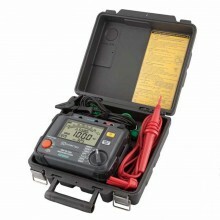 The resistance of a faulty insulant gradually decreases as the test voltage rises. 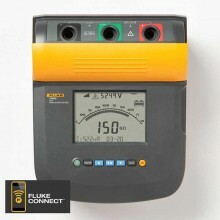 This test, which involves increasing the test voltage in steps, can be used to assess the quality of the insulant by observing the curve R(Utest) and the result in ppm/V which provides a quantitative evaluation of the curve's slope. 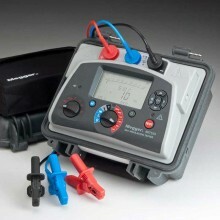 The value of an insulation resistance varies according to the measurement temperature. 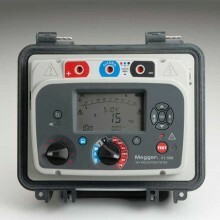 For accurate, reliable monitoring, it is always a good idea to express a measurement result in terms of a reference temperature. 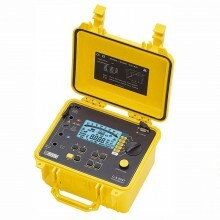 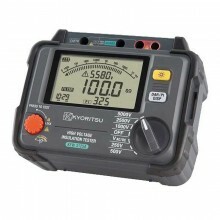 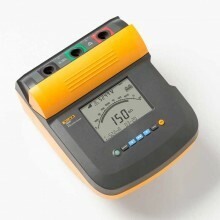 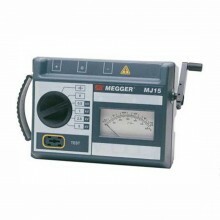 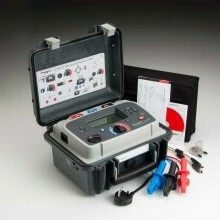 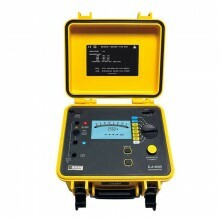 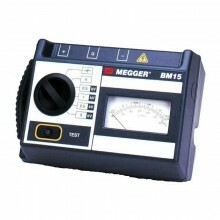 By simply pressing a button, the calculation can be performed automatically by the instrument. 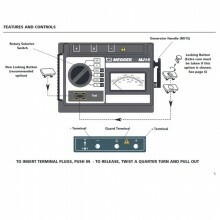 Step voltage mode 5 steps. 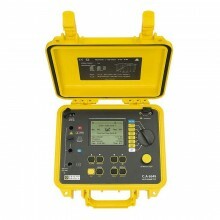 Chauvin C.A6549 warranty 12 months.